Keeping your clothes tidy is not only a matter of keeping yourself presentable, as it can also affect your health. Wearing the same clothes without cleaning them day after day can result in bacteria and other unpleasant denizens beginning to latch onto your clothes, not to mention that they will smell. It is for this reason that people all around the world put quite a bit of effort into how they do their laundry. We have come a long way from scouring and hand washing every article of clothing and then hanging them up to dry. Today, we have automated washing machines and dryers, some of which can determine the correct cycle for you. 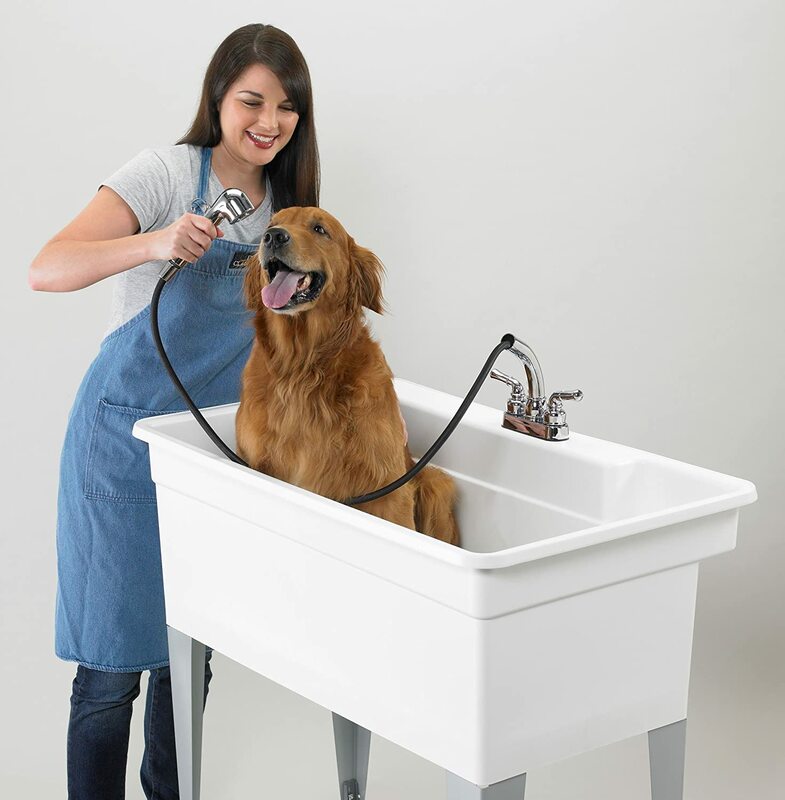 Of course, no matter how far technology advances, there are always some situations where simplicity is the preferred option, and that is the case when it comes to the laundry sink. While it may seem like a sink in the laundry room would be obsolete by today’s standards, that is not the case yet. 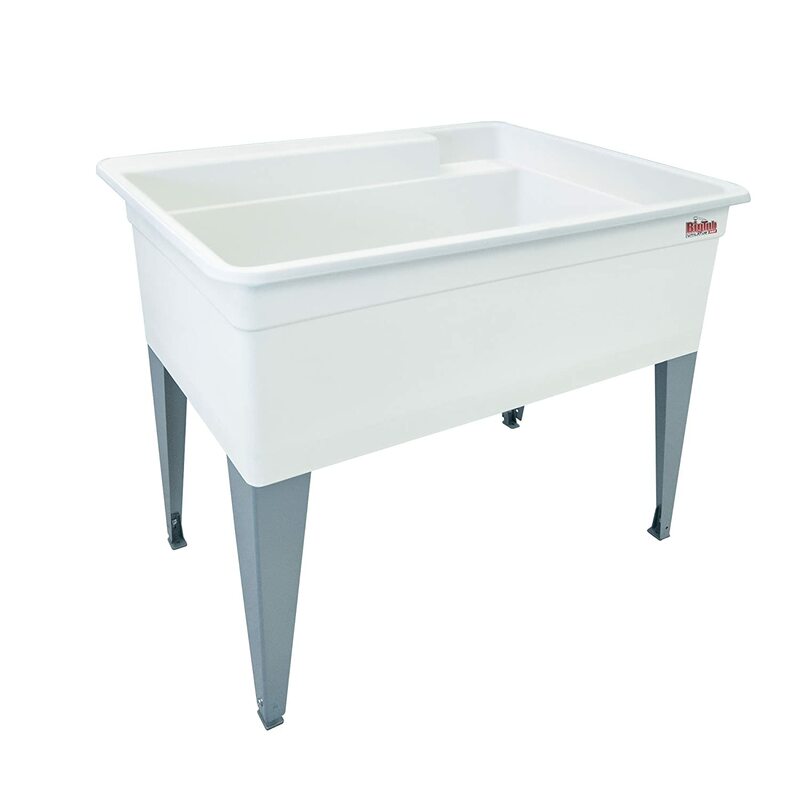 In this article, we are going to be covering some of the vital features to look for in your new laundry sink, as you may have some difficulties choosing the right one. Of course, before we get into the details of the most crucial features present in laundry sinks, let’s make sure that everyone is on the same page. What is a Laundry Sink? Very briefly, let’s cover what exactly makes a laundry sink distinct from other sinks that you will find around your home. A laundry sink will be closer in design to your kitchen sink than your bathroom sink in that it will feature high walls in which you will be able to wash larger items (especially clothing). Most of the time, a laundry sink will have a more substantial flow rate than other sink types since you will need more water to clean off your clothes. As you may have imagined, a laundry sink’s primary purpose is to be placed in the laundry room so that you can hand wash clothes, either before putting them in the washing machine or entirely. Here are our tips for buying the ideal laundry sink for your needs. We’ll be covering everything from the cost to the flow rate in the section, so feel free to use it as you please. More experienced buyers may wish to skip from section to section while beginners may want to read it through entirely. The first thing to account for when you’re buying a new laundry sink is the size of it, as this will influence many other aspects and may also determine whether you can install it at all. As you can imagine, you will want to measure out the area where you intend to place your sink before making a purchase. Carefully compare the measurements that you took to the dimensions of the sink that are provided by the manufacturer, and you will be able to be sure that it will work for you. 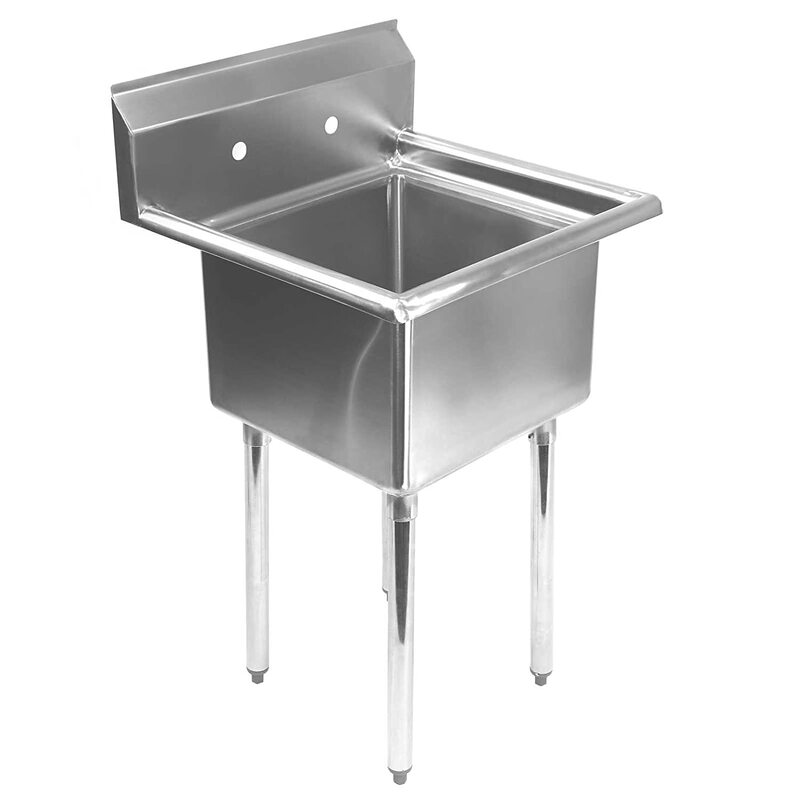 Of course, there is much more to choosing the right sized laundry sink apart from making sure that it fits. You will also want to be confident that you will have enough space to wash your clothes in the sink itself, meaning that the walls will have to be high enough to prevent water from spilling over. 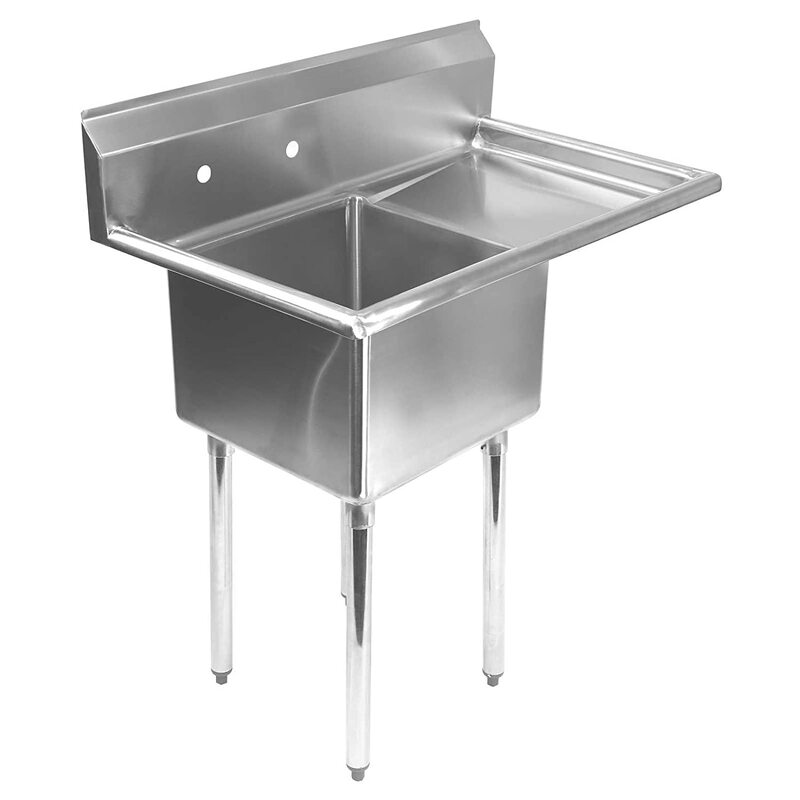 In the end, you’ll know the best size of laundry sink for your needs better than anyone else. Up next, you have to think about the flow rate of your sink, as that will give you an idea of how much water comes out of it for a given period when the valve is fully open. When doing laundry in a sink, you will need a sufficient flow rate to keep the garment wet as you wash.
Flow rate can be expressed in a couple of different units, chiefly gpm (gallons per minute) and lpm (liters per minute). Keep in mind that a higher flow rate is not always the best option, especially if you are trying to be ecologically-conscious, as it will greatly increase the water consumption of your sink and washing routine. You’ll also want to consider whether or not the sink you are looking at will feature cabinets or some other form of storage room mounted either underneath or to the side. As you can imagine, this would make the washing process much more convenient as you will have everything within reach. Other than the presence of the containers, you will also want to account for how much storage room they have. Shallow drawers and small cabinets won’t do you much good on a laundry sink, so you’ll want to be sure that they are worth being included in the first place. Another consideration to make when purchasing your sink is its reliability, and that will often be directly linked to how resilient the sink is. As you use your laundry sink for an extended period, you will want to ensure that it doesn’t start failing on you and that the tolerances don’t start loosening. Nobody likes ending up with a leaky faucet, a broken valve, or many of the other problems that can occur when you purchase a sink that is made with shoddy construction. While you may pay a little bit more for a laundry sink that is well-made, it will be worth it when it lasts much longer. One last thing you may wish to account for is how the sink looks, as you may want it to blend in with the decor of your laundry room. For example, if everything in your laundry room is made of stainless steel, then you’ll want a similarly-colored sink. As you can see, there is a lot to look for when you’re looking for the best laundry sink on the market. We hope that this guide has helped you to make the right decision and that you will be happy with your brand new laundry sink.